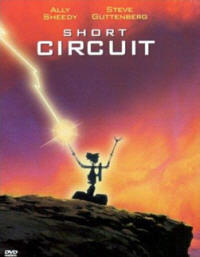 Tim Hill, of Alvin & the Chipmunks fame is near a deal to direct a remake of the film series Short Circuit. The series featured a wise robot by the name of Johnny 5 who intertwines with humans and becomes nearly one himself. The film has been in the works since 2009 and has yet to receive an official release date. Movie plot: Number 5 of a group of experimental robots in a lab is electrocuted, suddenly becomes intelligent, and escapes. Comments for “Short Circuit” Remake Finds Director are now closed.